We evaluated 14 electric wheelchair models, and after a careful review identified the 4 best electric wheelchairs to buy in 2019. The Golden Technologies: LiteRider Envy is a lightweight travel model. The chair disassembles with only a few steps making it easier to travel with, the heaviest piece weighing only 37 lbs. The Golden Technologies: LiteRider Envy also offers two different storage locations, a back seat pocket, and an under-seat storage tray. If you are looking for an affordable and versatile option, the Drive Medical Cirrus Plus is a good option. The model is foldable, allowing for easy transport, the armrests are removable. 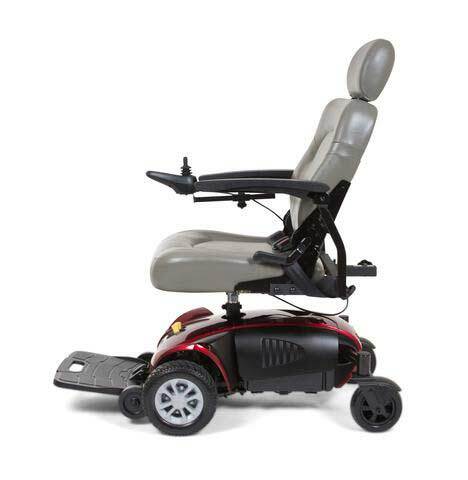 The Merits Heavy Duty Power Chair is a great option for customers of all of sizes. The chair has a capacity of 450 lbs and folds in seconds for easy transportation. 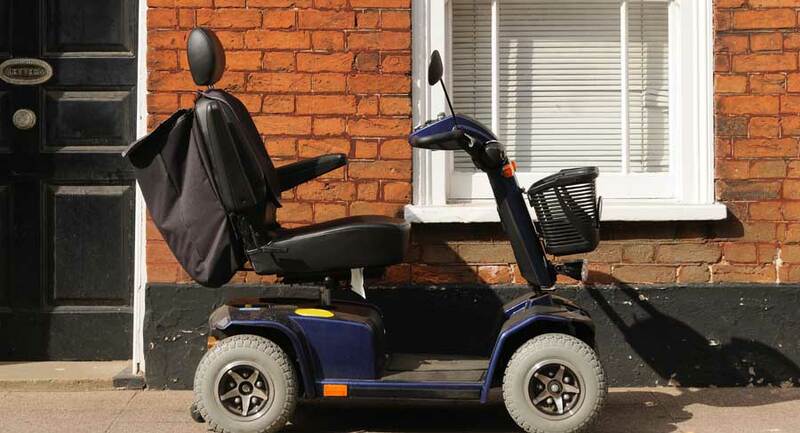 The Alante Sport is designed to give those with limited mobility maximum maneuverability. The chair is easy to operate with its integrated joystick, which is important when a precise or effortless operation is desired. Scooters ‘N Chairs is the best online reseller of electric wheelchairs and mobility scooters. They have a large selection of scooters, wheelchairs, and lift chairs to choose from. We evaluated 14 electric wheelchair models, and after careful review identified the 4 best electric wheelchairs in 2019. To draw our conclusions, we looked at sales data, analyzed consumer reviews, consulted with seniors & checked with experts in the industry. While many of the electric wheelchairs we reviewed might be good choices, we found four options that also stood out for key buyer needs: Best to Transport (Pride Jazzy Passport), Best for All Sizes (Merits Heavy Duty Power Chair), Best Value (Drive Medical Cirrus Plus), and Best Battery Life (EV Rider Allure). Additionally, we’ve listed Scooters ‘N Chairs as a great place to shop for an electric wheelchair. This guide provides you with the expert advice needed to choose the essential features for your mobility needs. We’ll also answer the top power chair questions asked by seniors and others looking for an electric wheelchair to improve their quality of life. If you’ve decided that an electric wheelchair is needed to improve your mobility and help you live a more active lifestyle, it’s best to know the facts before buying. First, safety should be your primary concern, and this useful safety checklist can make sure you maintain and operate the device safely. Most fully-functional electric wheelchairs start at $1500. While it probably goes without saying that a power chair requires some accessories to function properly, these may not all be included in the base price. Often items such as battery chargers, spare batteries, foot rest extensions, and headrest cushions are not be included in the base price, and each one will cost extra. Some chairs are even suitable as a seat in a motor vehicle. As you can imagine, accessories drive up the price of the chair. Again, make a list of needs, and then classify other items as “nices to haves” so that you can look to see the impact of extras on the price before making your final decision. Also, look for the presence of accessories (such as headrest extensions) that will not be needed and can be removed. Plug adapters for international use won’t be necessary if used only in the United States. Last, shipping can cost extra as well, so price your chair’s shipping based on where you live. If possible, ask for shipping to be included in the purchase price. Think about your performance needs carefully, because these chairs are expensive to replace. If you need a chair for around the house, your chair choice may be very different from someone with rugged outdoor requirements. Chairs come in different sizes, too. Larger and heavier adults may find some chair models uncomfortable, so read the dimensions carefully to see which ones will be the best fit. Battery life is an important requirement for those using the chair day in and day out, while those who hope to keep it in the car only for travel may need no more than a few hours of power. Making a list of your top performance needs prior to purchase is recommended. Purchasing an electric wheelchair can be a daunting experience. Not only is it scary to purchase something that is often not easy to test out in person, but it is a heavy purchase that may require special shipping and handling to get to your home. With many people not residing close to a power chair retailer, shopping online could be your best choice. Being aware of the special challenges (and advantages) of purchasing from the internet is essential. Note that there may be several online retailers selling the same model of chair, and that not all will honor the original wheelchair warranty or manufacturer benefits. Be sure that you look into the conditions for return or repair before buying. If you think that you’ll need some time to try out the chair before committing, ensure that your particular retailer has a generous return policy with no excessive charges for return shipping and handling. Bonuses and special offers given by the manufacturer may not be available by all retailers and at all times, so read the fine print before purchasing. 1. We searched for a comprehensive list of current electric wheelchairs available for online purchase today. 2. We conducted a thorough review of chair models based on our expert-led buying criteria: quality, mobility, value, and special features. 3. We brought you the best electric wheelchairs for your consideration. 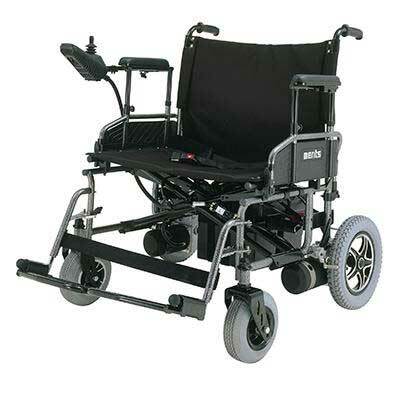 We began our search with 14 popular electric wheelchair models. We looked at consumer reviews and read the user’s comments. Companies with an average rating of less than 3 of 5 stars were disqualified. The models with favorable reviews were noted favorably. Models with suspect positive reviews or those with only a handful of reviews were excluded from the list. 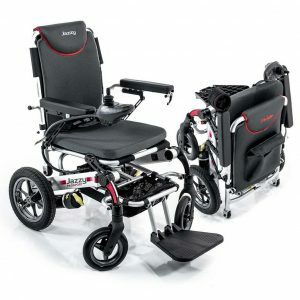 We looked at the top electric wheelchair options available to purchase online to be shipped to anywhere in the country. Chairs ranged in price from just over $1,000 to $6,000 or more with added accessories. If it wasn’t available to ship across the country, it was cut from the list. We narrowed our scope to companies that met our wise buyer criteria. Based on different buyer needs, we presented the top choice for power chairs in each category. Not all chairs offer all features. Our top chairs represent a variety of the best of what’s available on the market today. After our evaluation, we selected four best electric wheelchair models: Pride Jazzy Passport, Drive Medical Cirrus Plus Folding Power Wheelchair, Merits Heavy Duty Power Chair, and EV Rider Allure. Each of these models were good picks, and also stood out in a unique way. Since most people use their power chairs for getting around outside their home, as well as inside, a popular feature of chairs is the ability to fold it up for storage or transportation. Most foldable power chairs are designed to be able to be folded and unfolded by the person using the chair – and not just a caregiver – encouraging maximum independence in any situation. A foldable chair must be light enough to be carried short distances, and also compact enough to fit in a standard car trunk or back seat. We like the Pride Jazzy Passport because it is designed specifically for taking in the car, on planes, or even cruises. The pewter finish on an aluminum frame keeps it light – just 60 pounds. It takes up about the same space as a large stroller when folded, and the batteries are much lighter than most chair batteries; each one is slightly more than 3 pounds. The portability of this chairs comes with weight restrictions: it is designed to accommodate up to 250 pounds. Many of the chairs we reviewed were priced north of $2000. Still, it’s possible to have many of the bells and whistles of a more top-of-the-line chair, without paying more than $1500 for it. The key is to consider all of the available options and insist on the features that you will use regularly. A chair of good value will likely have standard color (black or grey vs. neon or customizable color), and all of the basic comfort accessories included. They may have padded seats, adjustable cushions, removable armrests, and storage pouches. Your chair should include seat belts and safety features without additional cost and should be able to accommodate most adults, including those of 300 pounds or more. 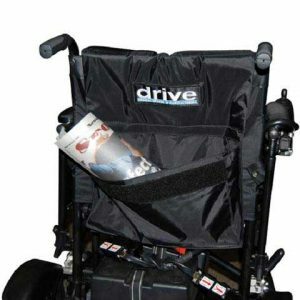 We like the Drive Medical Cirrus Plus Folding Power Wheelchair because it is a foldable chair with just the right amount of upgrades to make it feel like high-end transportation without the shocking price tag. Priced under $1500, it has high marks from consumers for being safe, comfortable, and having all the features you want without an additional upgrade cost. It looks more like a traditional wheelchair, and it accommodates weights of as much as 300 pounds. Sometimes, you need a chair that’s up to the task of handling more weight or a variety of surfaces. The proper chair can be found for people of all sizes, but you’ll need to consider both weight and size to know if a chair is right for you. Many chairs on the market only accommodate up to 300 pounds, and even those that can handle more weight may be too narrow by design to be comfortable for those with a larger body frame. Be sure you know the size of the seating area before purchase to ensure a good fit. We like the Merits Heavy Duty Power Chair because it weighs just 57 pounds and folds/unfolds in just 2 seconds. Consumers praise its durability; it comfortably seats adults weighing 330 pounds or more. It’s designed to accommodate heavier frames, but it also takes up minimal trunk space. This chair gets rave reviews for working at up to 5 miles an hour on a variety of surfaces, including cobblestone and turf. It handles inclines well, and the battery life is good for a minimum of 6 miles under normal use. To be useful, an electric wheelchair needs to be easily maneuverable. However, some electric chairs are difficult to control, making operation clunky and clumbsy. We like the Alante Sport for its ability to go where you need to go with minimal effort. With good range (16 miles), comparable features to similarly priced models, and an easy to operate joystick, this chair stands out. As an additional benefit, it is a fan favorite for those who live in tight living conditions and need a maneuverable chair that can navigate narrow hallways and doorways. For added stability, this model has 6 wheels. One additional thing to note: while this model can easily move room to room, the chair’s weight with batteries is over 150 pounds, making transporting it in some vehicles a challenge. If you’re in the market for an electric chair, you’re probably researching specific models like the ones we mentioned above. When you’re ready to buy, Scooters ‘N Chairs has a wide selection of electric wheelchairs (and motorized scooters) to choose from. What sets the company apart is the ease of shopping. You can quickly compare products and find options that work for you. The electric wheelchair options are groups into outdoor chairs, heavy duty chairs and portable chairs. Scooters ‘N Chairs only sells models with manufacturers’ warranties, and ships to your door. In fact, if you choose to work with their financing company, in most cases you don’t have to pay for the chair until after you’ve received it. If you want help shopping for an electric wheelchair, visit Scooters ‘N Chairs online or give them a call at (877) 524-6354. Read our comprehensive Scooters ‘N Chairs review. Readers of this electric wheelchair guide also found these related articles helpful. Read about how you can get Medicare to pay for an electric wheelchair. Electric wheelchairs aren’t cheap. These maintenance tips will keep yours working for years to come. What style of electric wheelchair is right for me? There are many different style options available, with some styles referring to function, and others to form. Whether you need a folding chair, indoor chair, one with front or rear-wheel drive, or a light-weight one for travel will be based on your specific use-case needs. Make sure you outline all the ways you will be using the chair before you look at buying one to be certain your final selection will work in your most commonly-used instances. Am I better off with a lighter chair or a more durable one? The weight of a chair doesn’t always indicate how sturdy it is. In fact, there are many portable and light-weight chairs on the market that are designed to hold extra weight or work on rough terrain. While a battery will have to work harder for a heavier chair, it is typically designed with that fact in mind. Don’t feel that you have to choose between portability and quality. My house is small. Can a motorized wheelchair fit? Most electric wheelchairs are designed with portability in mind, and this includes fitting in small spaces. You should always measure the doorways, hall spaces, entrances, and exits of your home, office, or other frequented areas to be sure, however. It is also wise to consider how small a folding chair will actually become and the space requirements you’ll have in your transport vehicle before buying. What is the difference between indoor and outdoor chairs? Most chairs are made to do some travel in smooth, flat terrain at any location. Others are specially-designed to handle outdoor surfaces such as grass, gravel, and inclined slopes. Know the pros and cons of each chair, regardless of how it is marketed. 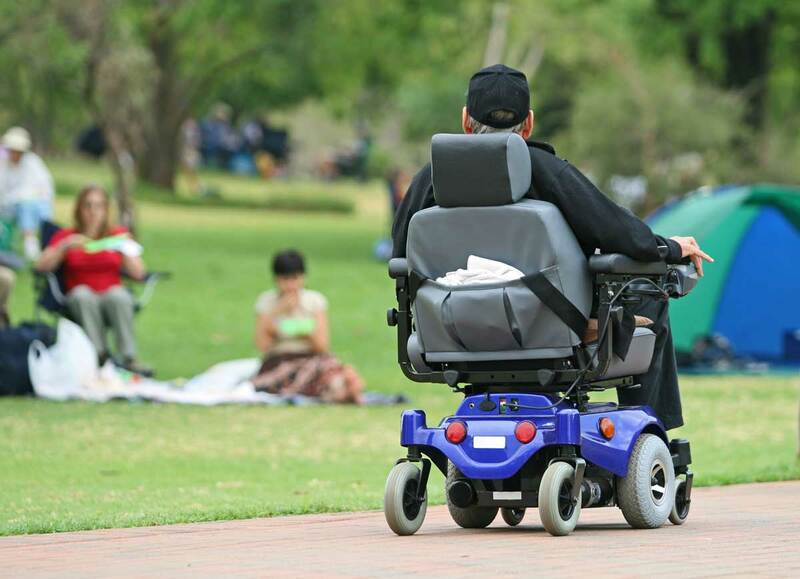 Some wheelchairs that are advertised as suitable for outdoors don’t make the grade when it comes to keeping traction and pushing over rough surfaces. If I’m not happy with my chair, can I return it? Each chair retailer will have their own return policy, so please check this before buying. If the chair is unusable due to a manufacturer defect or flaw, you can address the maker directly only after the retailer has declined to help. As a last resort, you can always try working with your credit card company to help resolve an unsatisfactory purchase after all other avenues have been exhausted. Will Medicare or my insurance cover my electric wheelchair? Most insurance companies, including Medicare, won’t cover an electric wheelchair until you’ve seen the doctor and it was determined that you need one to perform daily activities inside your home. If the device is considered a medical necessity, you can may be eligible for coverage. Check the Medicare mobility device guidelines for more facts. If you’re seeking a chair for outdoor, leisure, or travel activities, it likely won’t be covered. Expect the process of getting approved to take months, and you may have to pay out of pocket before being reimbursed – even if approved. Can I use my electric wheelchair on public transportation? In order to comply with the Americans with Disabilities Act of 1990, bus and rail service is required to accommodate electric wheelchairs and their operators, provided the total weight of the occupied chair is less than 600 pounds. What is the difference between an electric wheelchair and a mobility scooter? Electric wheelchairs are generally foldable, where a mobility scooter is not. Electric wheelchairs, therefore are generally easier to transport and store. Mobility scooters often move faster but may be less stable. A quick reference tip for the difference – if you see handlebars, it’s a scooter. Bottom Line: The right electric wheelchair can dramatically improve your quality of life, provided you choose the features that are best suited to your personal needs. There is no perfect product for everyone, and that’s why it is highly recommended that you take an honest assessment of how you will use your power chair in your daily life – not just when traveling. While finding the perfect match of features can be time-consuming, the value you’ll receive by buying the proper chair for your needs – and wants – will be worth it. Pick the right chair from the start and avoid frustration, expensive returns, and the hassle of dealing with customer service and sales teams.